How to Burn Movie DVD? Get great homemade DVD clips much better than nut-shots all over YouTube, thinking about burn your own movie DVD to share with your friends, or wanna put DVD movies to MySpace? Get your hands on it! The first thing is to prepare a movie DVD. And this tutorial of Free DVD-Video Burner is specified to show you how to burn movie DVD and you can accomplish this in only several steps. 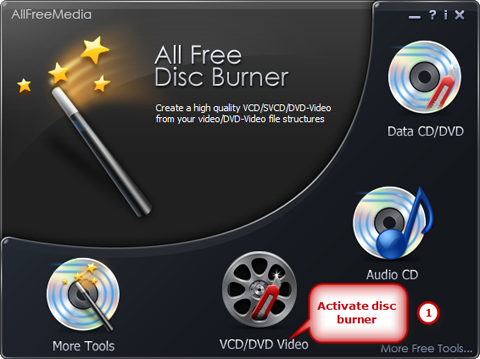 Insert a writable DVD into your disc drive and launch Free DVD-Video Burner. 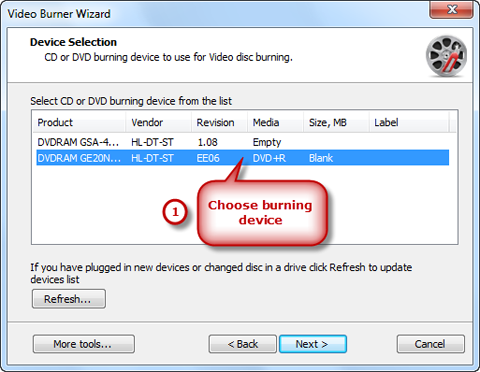 Click “VCD/DVD-Video” to activate the video burner wizard. The burner automatically scans your system and all the available drives are displayed in the list. You should select one usable disc drive from the list. Click “Refresh” to update the device list if you plug in new devices or change the disc in the drive. Select “DVD video” from the video disc types of Video CD, Super Video CD and DVD Video. Click the square button to add video file you want to burn and you can have a review of the selected file size & possible file size. Select one burning mode from “Burning Mode” drop-down list. 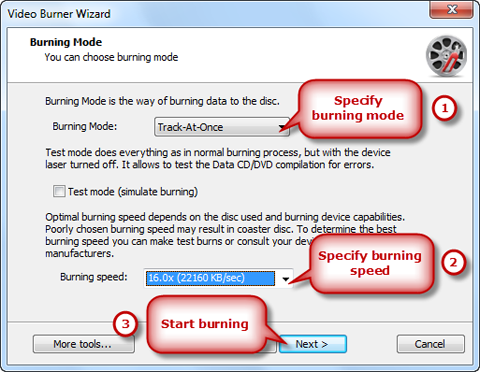 You may choose test mode to simulate burning for checking errors. Then, choose the appropriate burning speed (Burning speed depends on the capabilities of your system and your drive). Click “Next” to start burning. The disc will eject after the movie DVD has been completely burned. How to Create Music CD? How to Backup Audio CD?